Many businesses make a profit during the holidays, but they also end up spending too much money. Whether your business sells goods or they offer services, this time of the year can be very busy. If you’re a small HVAC company, then you’re probably looking at a lot of heating maintenance. If you sell jewelry on the internet or in a brick and mortar store, then you’re probably getting a lot of foot traffic trying to find the perfect gift for their loved ones. Regardless of the type of business you may have, it’s a time of the year to spend money. However, due to overspending, we’ve decided to cover some tips on how you can save money. 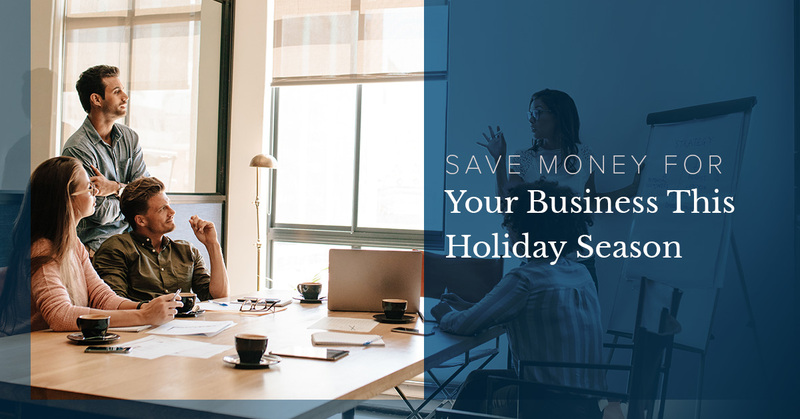 As a merchant service, we strive to help you succeed as a business and that means helping you figure out how to save money this holiday season. These three ways will help you save money this holiday season. While the holiday season is a mix of spending too much money as a shopper and making a large profit as a seller, you can also find yourself wrapped up in overspending as a business. You’d be surprised at how fast money flies through your fingers as a business. Between Christmas parties and turning the heat up in the business, you can be spending more than you thought you’d make this season. With these three methods of saving money, you’ll be astonished at what you save. Utility bills can easily creep up this holiday season. Between cranking up the heat — or the air conditioner depending on the day — during the work hours to forgetting to turn it down when people go home, you’d be astonished at how high your utility bills can go. In addition, with Daylight Savings Time, you’ll need to keep the lights on longer. By being more aware of utility bills, you’ll cut down on the amount you’re spending. Make it a habit to understand your expenses more this holiday season. It can be simple to fall into habits for monthly bills. You know that there should be changes in bills, but by going over your bills, you’ll be aware of where your money is going. By keeping an eye on where all of your money is going, you’ll be able to keep better tabs on where everything is going. During the holiday season, you should take the time to do a quick audit of your expenses as well. Lastly, do something nice for your employees. Many companies do something special because it increases the morale and improves your employees’ mood during this time of the year. While it’s a hectic time, it’s important to show your appreciation for those who work in your company. By doing a simple Secret Santa, your employees will know that they are appreciated and thus, they’ll work harder and be better employees because they know you notice their effort. Are you a new or an established business? Our merchant services are a great way to help you save all year round due to the low costs as well as take some of the responsibility off of your shoulders. We want to help you excel, which is why we strive to be a one-stop-shop. For more information on our merchant services, contact us today.